Wow! I can't believe that we are in the third week of March! We are doing so many great things in kindergarten! In Reader's Workshop, we focused on looking through the word and sounding out the letters that we know and look for "chunks" of words we know. Many of our friends have moved up in their reading levels. We will send home an update of your child's level in their daily log. You should be very proud of your children. Please keep reading those books that we have been sending home weekly with your child. We assessed my friends to see where they were in their sight word recognition. They did great! We will send home a new list next week for those children that are ready. I will also resend the other words so that you will have them to practice. Thank you for all of your help! In phonics, we focused on short vowels and digraphs. The digraphs are a tricky concept for many of our friends. This week we continued with the digraphs. We played many word play games to help learn these skills. In Math, we worked on number bonds and writing number sentences. We focused on numbers 6 and 7. We cannot believe how well your children are doing in math! In our Second Step program, we continued to learn about our own feelings. We talked about how feelings change. We shared a time when our feeling have change. 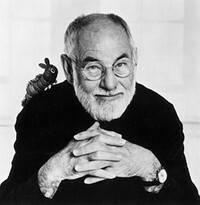 Our author of the week was Eric Carle. We read several of his books and discussed the similarities and differences of each of his books. St. Patrick's Day is this week! I hope you all have been working on the trap to catch that little fellow! In Reader's Workshop, we will be reviewing the strategies that we have learned thus far. It is amazing to see how our friends use these strategies during their reading. We will also be working on building our schema, which is our background knowledge, to help us read. We cannot wait for this week because we will be using what we know about The Very Hungry Caterpillar and compare it to a non fiction book about Caterpillars and Butterflies. It is going to be SO much fun!! In phonics, we will focus on short vowels and digraphs. Your children have a great understanding of the letters in isolation. For instance, they see the cue card that has the letters ch, a picture of a chin, and they say the sound /ch/. However, when they see these letters in text, they are still not making the /ch/ sound, they are sounding out the c and h separately. So, we are going to keep working on this skill until we get it! Those friends that do have the skill will be moving on in small groups! In Math, we will be working on number bonds and number sentences. We will also be focusing on the parts of 5. In our centers we will work on number sentences using dice, parts of five using the game "Squidward Squid", computers, number bonds, and part part whole using a game called "spill the beans". 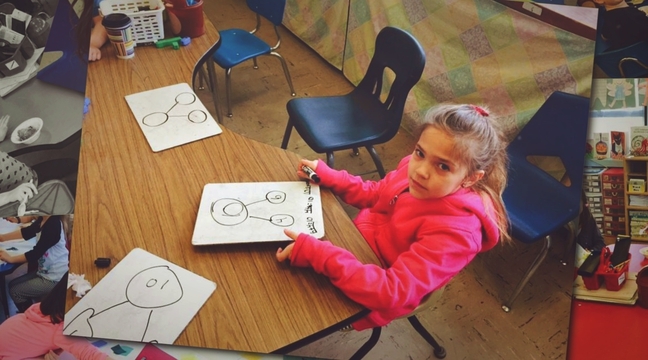 Each of these centers are differentiated according to each child's ability. Math is great!! In Science, we will begin our month long unit on life cycles. This week we will be focusing on caterpillars and butterflies. We will read some non-fiction books and compare them to some fiction book that we have read. We will also create a model to help us remember the life cycle of a butterfly. In Social Studies, will really concentrate on identifying sequential actions, such as first, next and last in stories and use them describe personal experiences. We will first practice using these words with sequence cards. After we become familiar with these terms we will create stories using these words. In our Second Step program, we will continue to learn about our own feelings and how they can change. 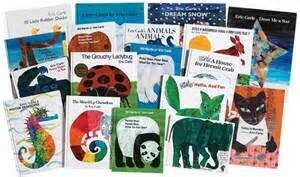 We did not get a chance to read many of Eric Carle's books, so we decided to extend our author study for another week. We will read several of his books and discuss the similarities and differences of each of his books.